What’s a party without chips and dip? This Smoked Tomatillo Salsa is done before you even know it. 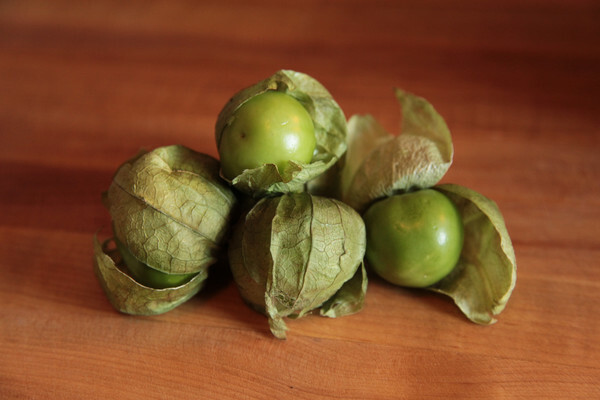 If you prefer a roasted version, blacken the tomatillos on the grill for a few minutes and let cool before you process them. Grab some corn tortilla chips and a cold cerveza. This salsa is muy picante! In a food processor, combine the tomatillos, chiles, cilantro and 1/4 cup water. Process to a coarse puree. Scrape down sides. Cover bowl of food processor with plastic wrap and use PolyScience Smoking Gun™ to fill with dense smoke. Let sit for 5 minutes. Release smoke and pulse to incorporate. Stir in chopped onion and season with salt to taste. Garnish and serve with tostadas or tortilla chips and lime wedges. Another tasty looking reipce. Do you like that mini cuisinart? I have been making a salsa with tomatillos as well, but I usually put some onion and garlic in there as well, which I roast on the stove. Actually I roast the tomatillos on the stove in a thick cast iron pan with the shells still on, which I take off after they’re done roasting. I’ve never tried peeling them before, but I’ll try that next time.